The World Cup is starting today and even if it does not turn out to be as interesting as I wanted it to be it has already taught me something: some people are just bad at Geography. Yesterday while aboard a kombi to town I heard one passenger telling his colleague that he had to get off early from work because the Brazil vs Croatia match is starting at 5 pm. When I confronted him he stuck to his guns and said this information was available on the Official FIFA website so why would they lie. He even loaded the page on his phone and started shouting angrily at me while poking on the match schedule which of course clearly showed that the match was set to start at 17:00 hours-local time. The poor fellow thought local meant Zimbabwe. In case you have forgotten and are as confused as my fellow passenger you would do well to remember that the world is round so different countries ( and often enough different cities) are at different times of the day. Generally GMT is considered to be at the centre of all time. Zimbabwe is two hours ahead of GMT (+2GMT) while Sao Paulo in Brazil where the match is going to be played is three hours behind GMT (-3GMT) i.e. 5 hours behind Zimbabwe. So the match will be played at 17:00+5 hours=22:00 hours Zimbabwean time. In other words the match is at 10 PM local time otherwise known as CAT time. Whatever you do just bear in mind that the correct time has to be in CAT time otherwise you will miss the match. Also bear this in mind when using Apps that will not adapt to your time zone. If the GMT calculations are beyond you, Google can always come to the rescue. In celebration of the world cup they have commissioned a new doodle today featuring cheering letters. Clicking on the cheering letters will give you a list of the impending/current matches their start dates and time as well as an up-to-date scoreline. You can also get a timeline showing the scores and the names of those who scored. 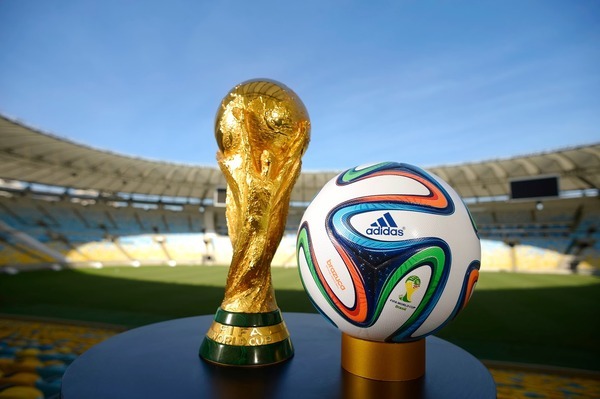 The same results can also be obtained by a Google search for “World Cup (2014).” The time is only accurate if you are not using a foreign based proxy or some DNS unblocker to access Google. Check to make sure that the result says CAT. Please bear in mind that I am only reviewing Android Apps here, those with other devices might or might not have access to the same App. Those with other devices can leave suggestions and advice for their fellow device users in the comments section. This app goes beyond Google, in addition to scoreline updates and match schedules this App gives you a buffet of World Cup related news. A group by group table is also available to help you navigate the complexities of the scheduled 64 games as well as various what if scenarios. The App allows you to choose your preferred national team(s) and gives you push notifications to ensure you do not miss anything. And if you are that foolish, the App allows you to watch videos using your device- the usual killer per megabit charges levied by our networks still apply. You can also chat (rant and rave if you prefer) with fellow football fanatics around the world. Come 10:00 PM the ticker on the right is going to start increasing as Brazil takes a hiding! 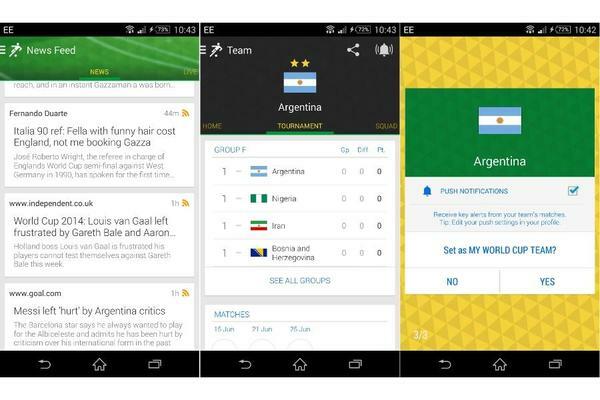 The folks at FIFA also have an (official) app. In addition to keeping up to date with match scoreline and news, chat features, group tables this App allows you to participate in the man of the match vote. Given the number of Brazilians that are crazy about the game I doubt your vote would count for much though especially in matches where their team is involved and you are supporting the other side. The App also has a Global Stadium feature that will allow you to chat with fellow supporters who are in the stadium using a #Joinin feature. The App also has a lot of other trivia such as Team and player rankings. Most of the matches are starting rather late in the night and you will need something to occupy you until kick off. Scoreline is just the app for the purpose. 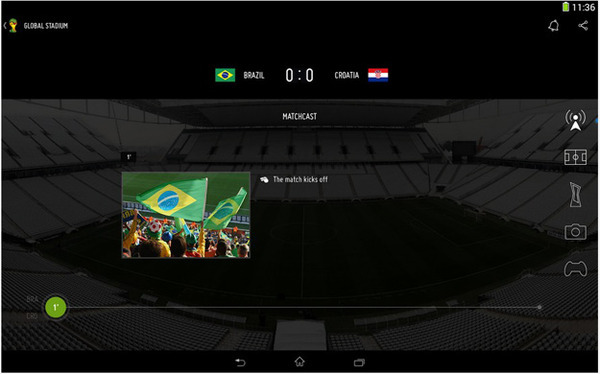 It allows you to relive famous World Cup moments from history. The game also supports goal moments form clubs like Liverpool, A.C Milan, Real Madrid among others. If there are any other apps you would recommend please feel free to leave a comment below. Be sure to include a link to the app page. One of the best if not the best is 365Scores obtainable directly from Google Play Store for free. It covers everything described above. This application includes almost all sports in the world.